Dr. Zadeh is an associate professor in the Electrical and Computer Engineering Department at Kettering University. He received his M.A.Sc. (2004) and Ph.D (2009) in Electrical and Computer Engineering from Concordia University and the University of Waterloo, Canada, respectively. He also has over 8 years of industry experience as a computer Engineer and software development specialist. He is interested largely in the areas of Haptics, physical human robot interaction (pHRI), and Medical Robotics. Ali received his bachelor degree in Electrical Engineering, majoring in Control Engineering from Shiraz University. He is currently a graduate research assistant in Computer Engineering at Kettering University. His research currently involves applying machine learning, statistical, robot learning from demonstration, and physical human-robot interaction methods to provide haptic guidance in order to improve minimally invasive surgery performance. Ali’s research interest includes big data, deep learning, machine learning, data mining, linear and non-linear control, haptics, medical robots and automation in surgery. 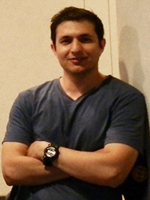 Hadi does research on skill modeling using machine learning algorithms in physical Human-Computer Interaction (pHRI). Since human has an unpredictable and non-linear behavior, designing probabilistic and/or statistical models for human behavior could improve pHRI. He currently works on the design of a haptic-enabled minimally invasive surgery training simulator. He plans to use NDI 3D Investigator system to include upper body motion in human modeling scheme and provide visual and haptic feedback in real time. Hadi received his bachelor degree from Shiraz University. Ehsan is a PhD candidate who works on a collaborative research project between REACH lab and Concordia University. The main goal of his research is to design, develop, and examine new control strategies for human-robot interaction by bridging the gap between two fields: control theory and machine learning. He is planning to develop models that capture underlying human skills from human demonstrations using machine learning techniques, including hidden Markov model (HMM) and hidden conditional random fields (HCRF). He received his bachelor and master degrees in Electrical Engineering from Shiraz University and Shahid Bahonar University of Kerman, respectively. 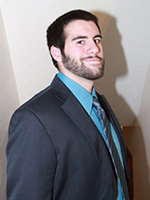 Shervin completed his master thesis requirements in December 2013 in ECE department at Kettering University. His research project was on providing haptic feedback in robot-assisted minimally invasive surgeries using a new optical force sensing approach. 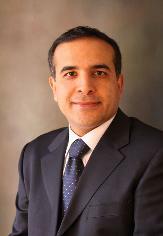 Shervin’s research interests include medical robotics and tele-haptics. Currently, Shervin works as an engineer for Patti Engineering. 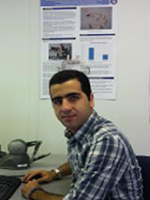 Reza completed his master thesis requirements in December 2013 in ECE department at Kettering University. His research project was on the design of a new Automated Ligation Device for laparoscopy surgery that occludes vessels using a suture. Particularly, He used Shape Memory Alloy (SMA) wires to control a surgical locking and cutting mechanism. 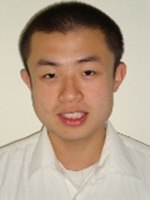 His research interests include design of surgical devices and haptics. Currently, he works as a project engineer at Aisin Technical Center of America. 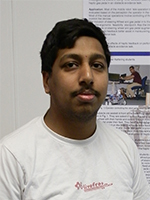 Kalanath completed his master thesis requirements in June 2013 in ECE department at Kettering University. 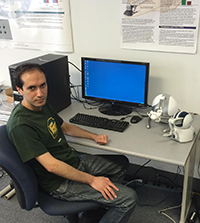 His research project was on the design and development of shared control algorithm for haptic-enabled human-robot interaction (pHRI). 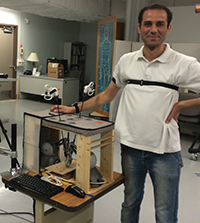 Particularly, he studied the effects of acceleration-based variable force feedback on operator performance in a teleoperated obstacle-avoidance task. Kalanath currently works for Siemens. Anthony Lawrence was an undergraduate Computer Science student. 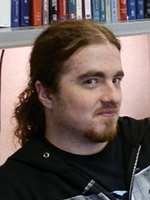 He worked as a full time student in the lab working on various projects including a haptic-enabled surgical simulator, developing, and maintaining the lab website. Paul (Lei) Hong was born in Harbin, China in 1989. When he was 20, he went to Xian Polytechnical University, Xian, China. He was selected as an exchange student to attend in Kettering University. He worked as a research assistant at REACH lab. 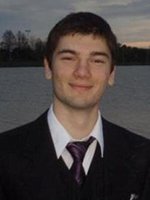 His research interests are mainly in the area of simulation and computational technology. He is also familiar with LabVIEW and NX. 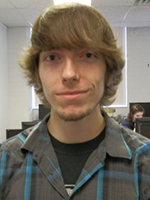 Chris joined REACH lab as a Senior Mechanical Engineering student in January 2012. He was pivotal in designing major components for a laparoscopic surgical device, including rapid prototyping, polymer extrusion, and material science. 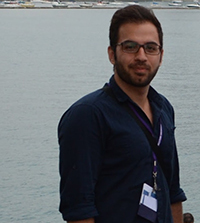 He also completed his undergraduate thesis under the supervision of Dr. Zadeh in December 2014. Lucas is a Senior III computer engineering student that has first worked as a co-op student and now a thesis student. 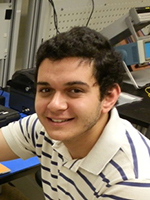 While a co-op student, Lucas did 3d drawings of parts for a new laparoscopic surgical device. As his thesis. He developed VR simulations for the visualization of the device functions. 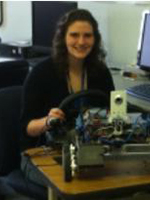 Laura completed a project in summer 2012 as a freshman Mechanical Engineering student. During her work experience, she has learned aspects of the computer program LabVIEW, and has created virtual interfaces that communicated with an NI mobile robot. She has revised and corrected tutorials that a new user would find easier to follow, as well. Alex was a visiting student from Cornell University studying Computer Science and Electrical & Computer Engineering. Alex worked on haptically-enabled surgical simulations to study user performance in haptic versus non-haptic simulations during summer 2012. The use of haptics, which provides the user with force-feedback, brings a new level of emersion and realism not seen in most simulations today. His research interests include applications in virtual reality, computer vision, machine learning and robotics. Mohamed studied Electrical Engineering at the British University in Egypt. He came to Kettering in summer 2013 as a part of his study in LOTUS scholarship program which is a scholarship provided by the USAID to 150 Egyptian students. His research was about the usage of optical force sensor in surgeries to detect the forces applied on the shaft of the Laparoscopic instrument inside the patient’s body.